James is so happy now that his sight has been restored – and it’s all because of donors like you! “I couldn’t work or even tell people apart unless I recognized their voices, and my wife Pauline had to lead me around our home,” says James, a 70-year-old farmer from Kenya. 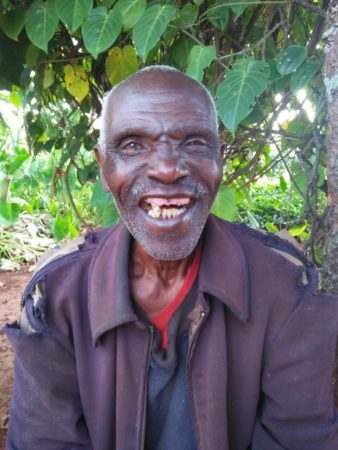 James suffered from bilateral cataracts and desperately needed surgery. To get treatment, he’d need to save enough money to cover a trip to Nairobi, two hours away. But how could he save money if he couldn’t see to work? Then everything changed with the opening of our new unit at nearby Kerugoya County Referral Hospital. James learned that he could receive cataract surgery there free of charge. Thanks to the generosity of people like you, James received surgery on one eye. He can see again! Today, James is working on his farm and eagerly awaiting his second surgery. In his spare time, he enjoys taking a moment to appreciate the world around him. Thank you for helping people like James see the world around them again! Generosity from people like you has already helped thousands in need, but there are still thousands more people like James who need your help. Please donate to give the precious gift of sight today, so that people like James can see tomorrow. 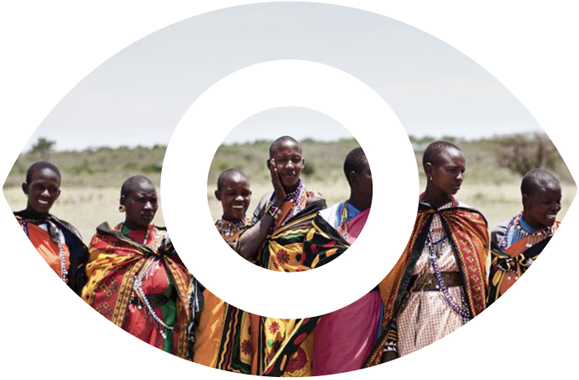 Together, we CAN eliminate avoidable blindness – For All The World To See!